If you have a smartphone, you should use it smartly. The next big question is when can you use your smartphone smartly? The answer is simple, you can use your smartphone smartly when you use it to enhance your everyday life. So, here in my post today I shall be tell you about 5 awesome apps to enhance your everyday life. Keep reading to know about these 5 life enhancing apps. If you always wanted to study in foreign universities then this is an app for you. Learn various subjects starting from Music to Computer programming with the help of this awesome app. You can join online courses in Coursera from more than 115 top universities. The courses of Coursera are available in 12 languages. Now say good bye to your excuses of not studying properly because of lack of money because now you can enjoy international standard of study for free. IF by IFTTT is an awesome app that can enhance your everyday life by connecting all your apps like Facebook, Instagram, Dropbox, Twitter and Gmail, so that you are able to unlock power of special channels in your Android. With simple interface, you can use IF by IFTTT to save a lot of your precious time. It is one of the most useful things available on Internet for your smart device. You can use IF for stuffs like posting your Instagram photos as Twitter photos, saving your cool tweets in Evernote and sharing Facebook status updates on Tumblr or LinkedIn. Is enhancing everyday life possible without managing time? Absolutely not, and that is why every one of us needs a to-do list. More than 4million people have Todolist in their smart phone to accomplish their short term and long term goals. Achieve a bit everyday by keeping your day organized with the help of Todolist, which is a simple app that has proved to be a life change app for many. With powerful features of Todolist, say hello to success. The tagline of Yolify is “Transform your life into a sensational journey”. Trust me when I say that Yolify does follow their tagline. What can Yolify do to enhance your everyday life? It can discover new life goals every day, inspire you by other’s bucket list, allows you to share your experience and tips, allows you to create your own bucket list, you can follow people with similar interest and allows you to dig deeper in goals and dreams. Journey is an app that can enhance your everyday life by helping you to capture life moments. Pen down your thoughts, lessons and experiences in Journey to count on all the blessings. With innovative features Journey allows you to rediscover the joy of journaling. Now, just before sleeping don’t forget to pen down the lessons of the day. 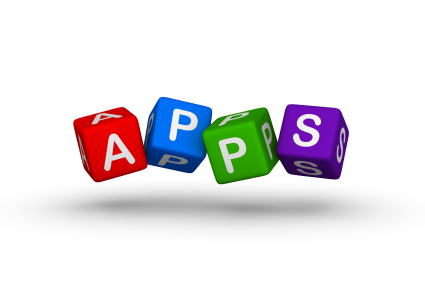 This is the list of 5 awesome apps that can enhance your life. Download all the apps and see the enhancement of your everyday life. Don’t forget to share your experience with us after you start enhancing your life with the help of these 5 apps.